The Ergobaby Omni 360 is the newest addition to the Ergobaby range. 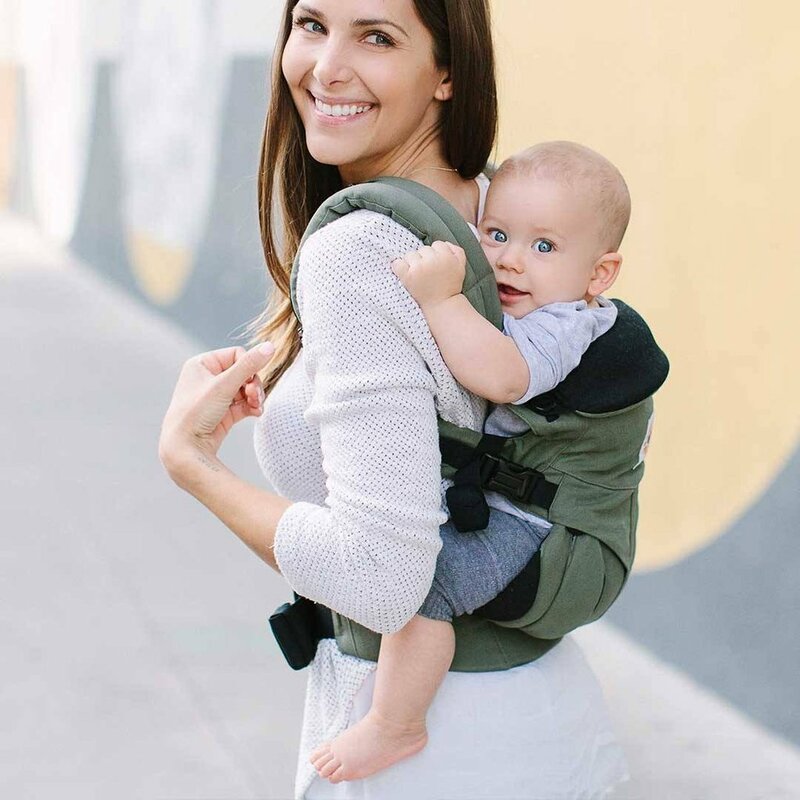 Featuring the best bits of their other carriers, it is suitable right from birth until toddler and includes a front carry, a back carry, a hip carry and a world facing option! 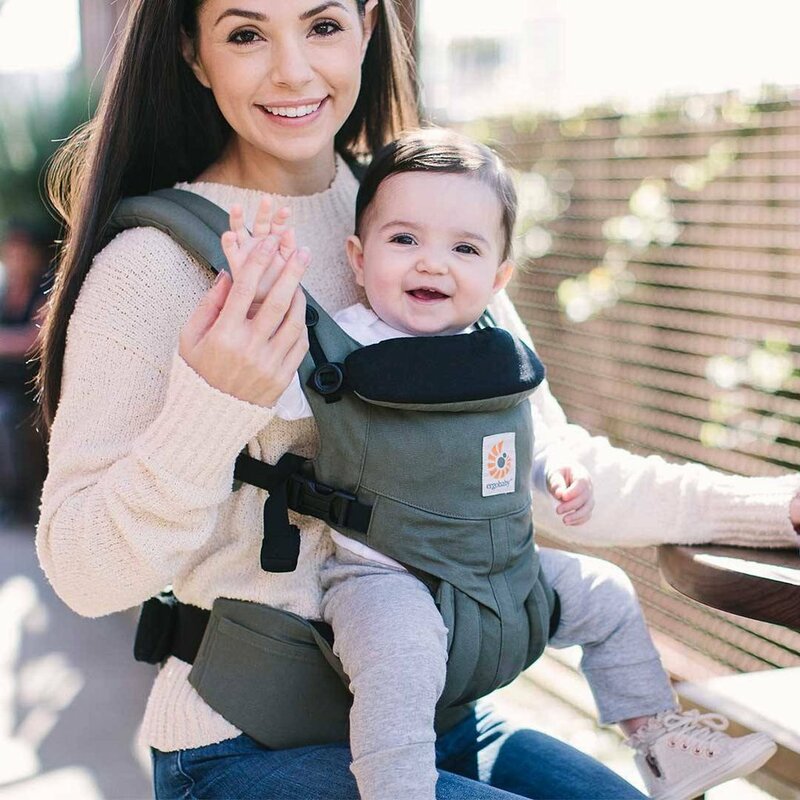 The Ergobaby Omni 360 has improved on the design of the much loved 360 carrier with the addition of an adjustable base, similar to the one in their Adapt carrier. The easy to adjust Velcro makes it simple to size the carrier appropriately for your child whatever their age. The world facing option is brilliant in the Omni 360, based on the seat position in the 360 carrier. It sits baby down into a bucket seat, keeping legs supported to the knee and their spine curved even when facing forward. The fixed lumbar support and the option to wear the shoulder straps either crossed or rucksack style means the Omni 360 offers an extremely supportive carry in all positions. The Omni 360’s design makes it incredibly easy to switch from world facing to parent facing positions without disturbing baby too much. Simply change the button and turn baby round! Now available in their Cool Air Mesh version too (available soon to rent and to buy from It’s A Sling Thing), the Ergobaby Omni 360 has proved to be one of the most popular slings in our selection. The base of the Ergobaby Omni 360 features a velcro panel in the waistband with two movable tabs. There are three suggested positions for the tabs depending on the size of your baby, however it is possible to put the tabs between positions to get a perfect fit. Your baby must be able to bend their knees freely in the panel so be aware of how wide you have it set! 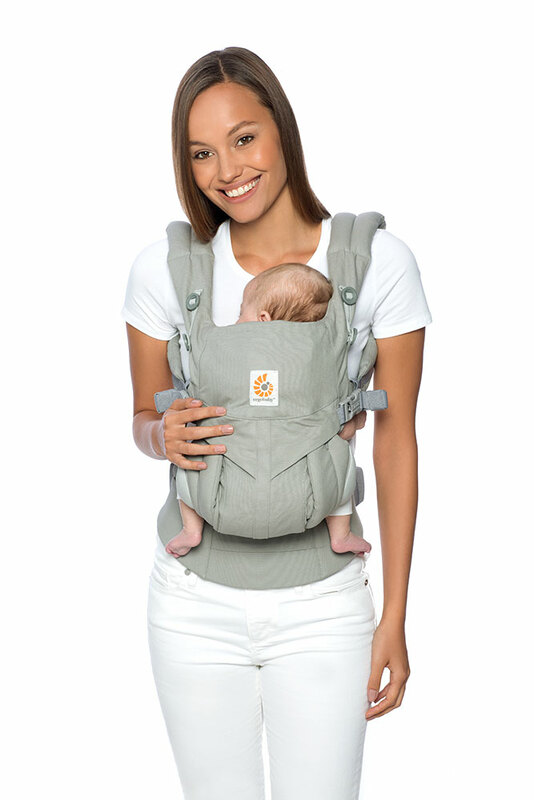 You can also adjust the neck panel to support your baby fully. The Ergobaby Omni 360 offers you the opportunity to wear the carrier with either crossed straps or rucksack style straps. This can give you the opportunity to try both options and see which suits your body. Crossed straps can spread the weight across the torso and is especially useful if you have narrow shoulders or a short torso. Those of us with broader shoulders might find that rucksack style straps are more comfortable! When changing between the strap styles or if you’re regularly using crossed straps then you will be using the safety buckles on the Ergobaby Omni 360! The safety buckles are a feature to ensure that the buckles aren’t accidentally opened. To open them, you need to lift the central part of the buckle and then squeeze to open. If you’re interested in trying the Ergobaby Omni 360 we have several available to hire (Herringbone, Black, Khaki and Blue Daisies), and a range available on our Try Before You Buy scheme and to buy too!